Children and young people across the UK will have the opportunity to take part in the biggest event in England this year, Great Exhibition of the North, following the launch of a dedicated schools’ programme that celebrates the North of England. From volunteering and school visits to creative competitions and classroom resources, the Great Exhibition of the North schools’ programme is designed to give children and young people in England and Wales the chance to celebrate the North in 2018 and experience this once-in-a-lifetime event. Lucy Tetley, Schools and Young People Engagement Manager, at Great Exhibition of the North said: “We want to inspire the next generation of engineers, designers, innovators and inventors to explore the amazing opportunities on offer in the North of England. 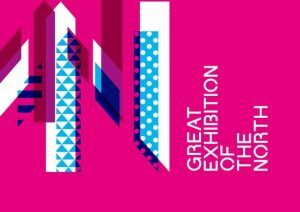 Councillor Kim McGuinness, cabinet member for culture and communities at Newcastle City Council, said: “The Great Exhibition of the North is a fantastic opportunity to inspire young people. We want the exhibition to leave a lasting legacy. “Providing opportunities for young people to get involved and experience the exhibition is a great way to do that. The exhibition themes of art and culture, innovation and design will see us looking at a bright future for the north. Our museums, cultural venues and the walking routes will be all about what’s great about the north. This is both exciting and educational. 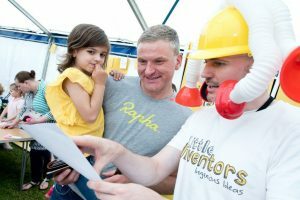 A highlight of the schools’ programme is the Little Inventors North 2030 challenge, which gives children aged 4-12 in the North of England the chance to design their own inventions and have a team of makers, designers, artists and manufacturers bring it to life at Great Exhibition of the North. The brainchild of artist, inventor and designer Dominic Wilcox, Little Inventors is a creative collaboration between the limitless imagination of children and the skills and expertise of adult and professional makers. The Little Inventors North 2030 challenge at Great Exhibition of the North invites children to think about their world in the year 2030 and design an invention that matches their vision for the North. The top-rated designs will be made by a team of artists, designers and makers and exhibited at the Discovery Museum in NewcastleGateshead as part of Great Exhibition of the North. An online gallery will showcase all the submitted designs. Dominic Wilcox, Founder and Chief Inventor of Little Inventors said: “We’re really excited at Little Inventors to see what sort of inventive and visionary ideas about the future the children in the North of England have got in their brilliant minds. There’s a long and proud history of invention and engineering up here and it’s the young people who are the ones who will carry that on, working hard to make the world a better place through their creative and innovative thinking. For more information and to submit a design, visit www.getnorth2018.com/schools.